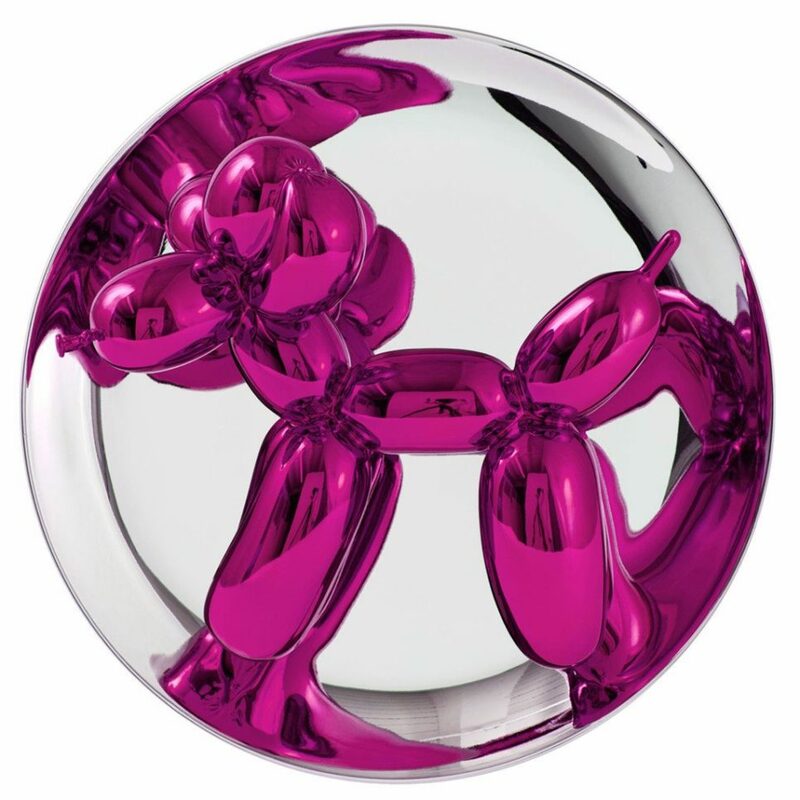 Jeff Koons, Balloon Dog (Magenta) is an original porcelain sculpture made in 2015. This artwork comes with a stand for display or it can be mounted to the wall. It is signed and numbered verso. Produced by Bernardaud in Limoges, France. “Balloon Dog is a very optimistic piece, it’s a balloon that a clown would have maybe twist for you at a birthday party. But at the same time there’s the profoundness of an archaic sculpture. The piece has an interior life while the reflective exterior surface affirms the viewer through their reflection. The porcelain only accentuates the sexuality of the piece. For Balloon Dog, it’s been a pleasure working with Bernardaud, who proudly work with only the finest materials, innovative processes, and artisan talent. Their experience in porcelain dates back 150 years. Balloon Dog is a series of limited edition artworks by Jeff Koons, referencing his iconic, monumental sculpture of the same name from his highly acclaimed Celebration Series. Born in 1955 in York, Pennsylvania, Jeff Koons is without question one the most important living artists. He is among the few who successfully extract the essentials from avant-gardism, most notably Pop Art. In his hands even the most familiar, everyday items transcend commonality to become true icons that manifest the essence of American popular culture.